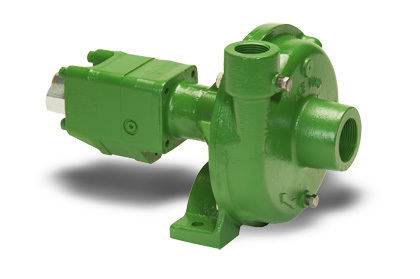 The Ace gear type hydraulic motor is more efficient than gerotor type motors, and is less subject to damage by contamination than the gerotor design. 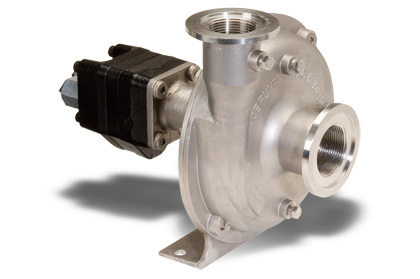 A built-in needle valve allows for the bypass of up to 9 GPM excess hydraulic fluid on open center systems. 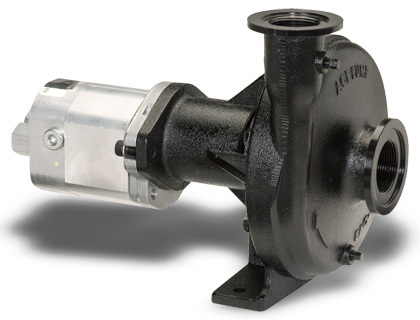 The standard motor has a reverse flow check valve which prevents backward hookup and a coasting check which protects the motor seal from the flywheel effect of the impeller. 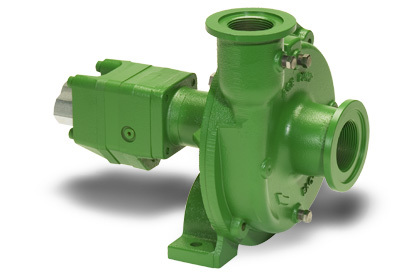 A restrictor orifice is included with pump models recommended for pressure compensating closed center systems. The Ace Internet Hydraulic Selection Guide is here to help in finding the proper hydraulic pump for your tractor. The farm industry standard since 1969. 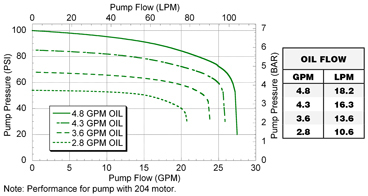 The 202 and 203 motors require 2 GPM (7.6 LPM) and 3 GPM (11.4 LPM) hydraulic fluid input. Recommended for engineered systems with limited oil flow. 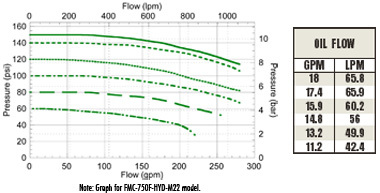 The 210 motor requires 10 GPM (37.9 LPM) maximum hydraulic fluid input. 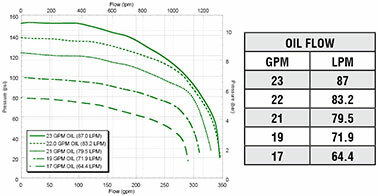 Open Center Systems up to 17 GPM (64.4 LPM) using internal needle valve bypass. 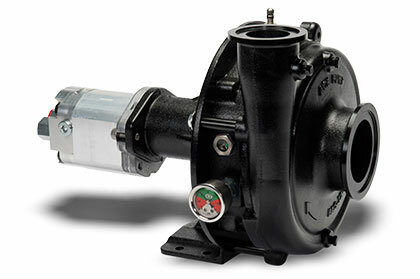 The 310 motor requires 16 GPM (60.6 LPM) maximum hydraulic fluid input. 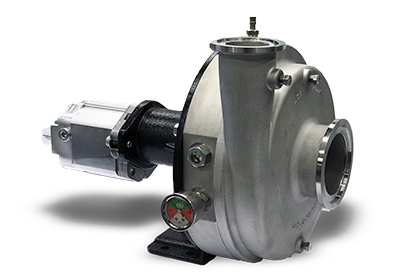 Large Open Center Systems up to 24 GPM (90.9 LPM) using internal needle valve bypass. Provides higher pressure and greater volume for applications with large tanks and longer spray booms. 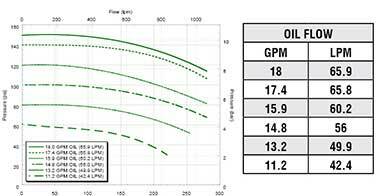 Modified impeller design develops higher pressure at lower RPM. Durable E-Coat finish provides extra corrosion resistance on all surfaces inside and out. Oversized bearings for extended pump life. 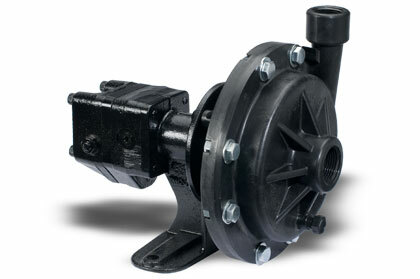 Splined motor to pump shaft connection strengthens the power train while allowing for easy repair and maintenance. 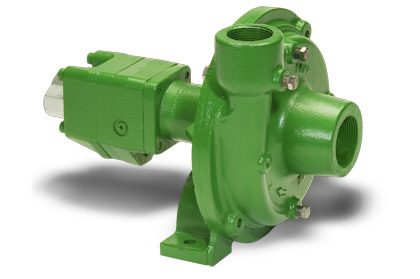 4000 PSI high efficiency pressure plated gear motor provides higher output with less oil flow. 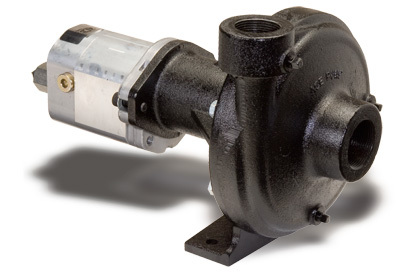 The M16 motor requires 14 GPM (53 LPM) maximum hydraulic fluid input. 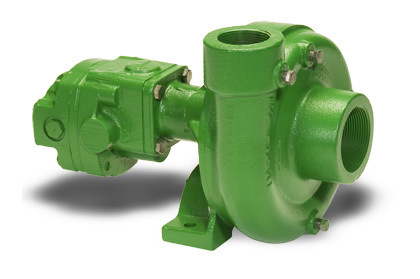 F model equipped with NPT ports and industry standard flanged connections. 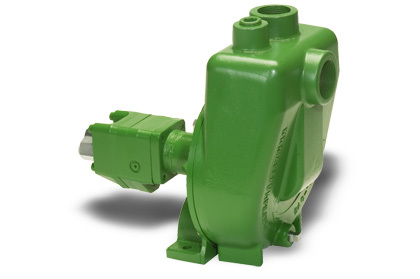 The 304 motor requires 11 GPM (41.6 LPM) maximum hydraulic fluid input. 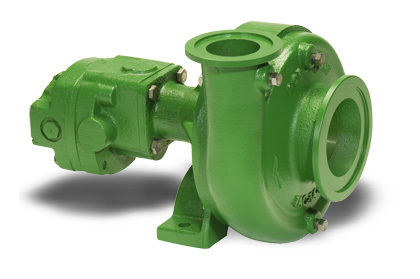 Standard industry flanged ports for higher flow. 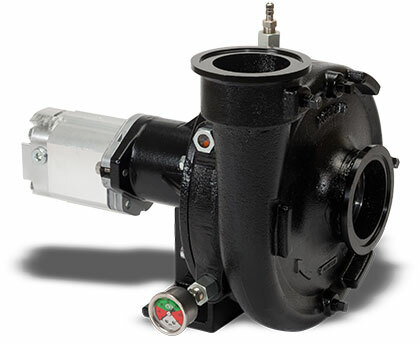 The M30 motor requires 23 GPM (87 LPM) maximum hydraulic fluid input.